This is our comprehensive guide to HVAC warranties plus a section on HVAC extended warranties and whether they are worth the money. Some homeowners are apathetic about their HVAC warranty, hoping they never have to deal with it. Others fear the “devil in the details,” and think any claim they make will be denied on an obscure technicality. But wise homeowners get informed instead. It turns out that HVAC warranties are straightforward. They are not filled with legalese, not too much anyway. The truth is that you CAN know what you’re getting in a warranty on your furnace, heat pump, AC, air handler, etc. All important factors are discussed in this HVAC Warranty Guide – What is covered and what isn’t in warranties, parts vs labor warranties, extended warranties and whether they’re a good deal and more. We’ve also compiled warranty details from all major HVAC brands for quick comparison. Some brands really do have better warranties than most, and it might not be the brands you expect. Are HVAC Labor Costs Covered by the Manufacturer Warranty? Who Has the Best HVAC Warranties? When homeowners think of an HVAC warranty, they are usually considering the manufacturer, or manufacturer’s, warranty. However, installation warranties and extended warranties are also available. This is the warranty provided by the company that makes your HVAC equipment. The Standard warranty is what you get if you register your equipment in the allotted time. The Base warranty is what the warranty will become if you don’t register the equipment. We discuss this important issue below. The dealer that installs your HVAC unit or system should offer you a warranty to cover defects in installation. Faulty installation is not covered by the manufacturer warranty. In fact, it is the most common reason warranty claims are denied. Reputable installers should cover their work for at least 12 months. You’ve probably received offers in the mail for an extended warranty on your vehicle. Offers for extended warranties on appliances and electronics are offered at checkout. Well, they’re available on air conditioners, heat pumps, air handlers, furnaces and other HVAC equipment. Amana/Goodman are among the few HVAC manufacturers that back their own extended warranties. Most of these warranties are offered by third parties. We discuss the pros and cons of extended warranties and make a professional recommendation on them below. Your HVAC warranty is important for two reasons. The warranty is a legal document explaining exactly what is covered, what is not covered and how to ensure the enforcement of your warranty coverage. Secondly, it protects you from paying the full cost of repairs when defective parts must be replaced during the warranty term. Covered equipment: The model numbers or the series of units that are covered by the warranty. What problems are covered: Manufacturers cover just two problems, discussed next. Everything else is excluded. When coverage starts: The effective date of the warranty such as the installation date or, a newly built home, the date of occupancy (and how to prove such details using an invoice or Occupancy certificate). Warranty length: The length of the warranty terms for general functional parts and for primary parts such as a heat exchanger, compressor or coil. Warranty Registration: Informing you what you must do to ensure the warranty is registered, so you get its full benefits. Warranty claims: What you must do to file a claim. Many of these details can be seen in this Rheem/Ruud warranty. “What Problems Does This Warranty Cover? What doesn’t it cover? Everything else. Bad parts: If a part used to build your unit fails during the coverage period, it will be replaced at no cost to you for the part. Labor cost likely won’t be covered, as explained below. Incompetence on the assembly line: The “workmanship” part of the warranty covers you if the technicians made mistakes in assembling the parts or wiring for your furnace, heat pump, AC, etc. RHEEM SALES COMPANY, INC. warrants the Covered Equipment to be free from defects in materials and workmanship, and will repair or replace, at its option, ANY PART of Covered Equipment installed in residential (not commercial) applications which fail in normal use and service within the Applicable Warranty Periods. This section could be called How to Void your HVAC Warranty. It turns out there are many ways to do it. The good news is that most are easily avoided if you hire a licensed, experienced installer to help you select your HVAC equipment and to install it according to manufacturer guidelines. We draw on many different warranties for this information, though most cover the same general exclusions and exceptions. The term “covered equipment” refers to the equipment protected by the warranty. Faulty gas valve changes: Damage or failure by improperly switching from natural gas (NG) to propane (LP) or the opposite. Non-covered parts: Replacement filters, replacement refrigerant if the original fluid leaks and outdoor pads for heat pumps and air conditioners. Unqualified installers: Covered equipment if it is not installed by a qualified HVAC technician in compliance with local codes and manufacturer guidelines. If an uncertified installer installs your equipment, your warranty won’t be honored. Moving the system: Covered equipment moved from its original installation location. Add-ons: Damage caused by installing the unit with equipment or accessories not authorized for use with the covered equipment. Unmatched equipment: Covered equipment that is installed in a system with other equipment that doesn’t match in terms of capacity. For example, if you install a 4-ton heat pump with an indoor coil or air handler designed for a 2-ton system, your warranty will be voided. Make sure the equipment you install is compatible according to the Air Conditioning, Heating & Refrigeration Institute (AHRI), which every HVAC pro is very familiar with. It doesn’t have to be the same brand, but it must be compatible. Failure caused by unauthorized parts: If an HVAC tech installs parts not manufactured for your HVAC equipment, the manufacturer’s warranty will be voided. Bought online or from an unauthorized seller: Equipment bought from any seller, including online sales, that is not installed by a certified HVAC professional. This is essentially the same as #4, but manufactures wish to stress that buying a furnace on eBay and installing it yourself, or a similar approach, will make the warranty null and void. Some brands, like Carrier, don’t sell their equipment online. Any Carrier HVAC unit bought online will NOT be backed by a warranty. Other major brands (Bryant, Heil, Arcoaire and others) have this policy. Shipping costs: If a replacement part has to be shipped to your installer, the manufacturer won’t cover shipping costs. Yes, that’s just how cheap they can be! No! We found one HVAC unit, the Carrier Infinity 20 24VNA0 central AC, that has a labor warranty. It is three years, a marketing ploy to get consumers to look at this very pricey AC. Labor is NOT covered in all other manufacturer’s warranties. You have to buy an extended warranty to get it. Trane, for example, lists Labor in its warranty exceptions and says, “Labor costs including, but not limited to, costs for diagnostic calls or the removal and reinstallation of Products and/or Product parts” are not covered. These warranties are provided by the installer of your HVAC unit or equipment. Their purpose is to cover failure caused by improper installation, something not covered by most manufacturer warranties. Most reputable HVAC contractors provide a 12-month installation warranty for parts that fail due to bad installation. Labor is also covered by the contractor. If the contractor you get estimates from does not provide an installation warranty, get more estimates. We recommend getting at least three estimates to evaluate before deciding who to hire. Your warranty must be registered with the manufacturer within 60 or 90 days, depending on brand, in order to get full coverage. Otherwise, you get only the Base coverage which is much shorter, usually just five years. Lennox is one of few brands that does not require registration to get the better warranty. Note: In some states, it is illegal to require registration of a warranty for the better warranty to be in effect. If your state doesn’t require it, we recommend you do it anyway to avoid hassles. At the very least, keep a dated invoice for the equipment. Many installation contractors take the step of registering warranties. Whether you do it or your contractor does, it is your responsibility to make sure it happens. You’ll lose half the years of your warranty or more if you fail to register it and are stuck with the Base warranty. Warranties have improved in the last five years. Consumers are expecting better warranty coverage, and some manufacturers are responding with longer warranties with more benefits. The biggest names in the industry, Trane, Lennox, Carrier and a few others, are lagging behind. All the brands offer two warranties. The Registered Warranty requires product registration within 60 or 90 days depending on brand unless such a requirement is illegal in your state. The Base Warranty is what you get if you fail to register your products in the given period. 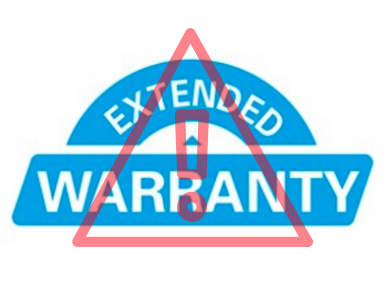 Lennox uses the term “Extended Warranty” the same way other brands use “Registered Warranty.” It is a marketing ploy and confusing. For all brands, including Lennox brands, you must purchase an extended warranty plan if you want labor to be covered. Here’s a summary of leading brands and their warranties. The notes below the table explain key points. ICP: Heil, Day & Night, KeepRite, Comfortmaker, Tempstar, Arcoaire, GrandAire. Nortek Global: Maytag, Broan, NuTone, Gibson (Tappan & Westinghouse discontinued). UTC (United Technologies Corporation): Carrier, Bryant, Payne. UTC also owns ICP, but brands have different warranties. Lennox: Lennox and Allied Air brands Armstrong Air, AirEase, Ducane, Concord. General Parts: These are all functional parts other than heat exchangers, compressors and coils. Unit Replacement: The warranty applies to heat exchangers on furnaces and compressors (and coils on some models) on air conditioners and heat pumps. Transferable: Daikin brands and Trane/American Standard are the only brands that allow the Registered Warranty to be transferred. If you sell your home during the warranty period, the new owner gets the full remaining balance of the warranty. That’s a point to consider if you plan to sell in the next 5-10 years. Most other brands allow transfer, but the new owner gets just the Base Warranty, which for most brands is 5 years on parts and 10 or 20 years on the heat exchanger. Lennox brands offer no transfer, and that’s one reason we rank their warranties as worst. There is a small processing fee for transferring the warranty, which must be done in writing within 60 days of closing on the home. An extended warranty starts when your standard warranty expires. For parts, that is usually after 10 or 12 years. For labor, it starts immediately or after one year. We’ll let you know right from the start that we DO NOT recommend you spend money on an HVAC extended warranty. The better plan is to have your system cleaned and serviced every few years and start putting away money for major repairs and replacement down the road. Extended warranties are also called Extended Service Agreements or ESAs. Most are third-party warranties sold by HVAC dealers. Only Daikin, Goodman and Amana sell their own extended warranties. To be fair, let’s look at both sides of the argument. There are two reasons they might be a good idea. Saving money is difficult – If money burns a hole in your pocket, then parting with a chunk of it when you purchase your HVAC equipment might keep you from having repair needs later but no money for them. Putting repairs on a credit card, only to watch finance charges mount, costs much more in the long run. Selling your home – Potential buyers might like having an extended warranty on a system that is 10+ years old. But that’s only if the extended warranty you purchase has a transfer clause. Some do, and typically cost more. Many are not transferable. There are several reasons we do not recommend extended warranties. They are expensive – ranging from 8% to 15% of your purchase price. If you spend $3,000 on a cheap furnace installed, the plan will cost $240 to $300. Heat pump extended warranties are on the high end of the range. Spend $5,000 on a heat pump, and your extended warranty will cost $500 to $750. It’s not uncommon for extended warranties to cost $1,500 or more for a full HVAC system. They require annual service contracts. Not only do you pay upfront, but you’ll have annual expenses. Most service contracts cost $100 to $300 for two maintenance calls per year, based on the equipment covered and the plan features. In truth, most HVAC systems don’t need a twice-a-year service. Plus, the service contract must be purchased from the company that sold and installed your HVAC equipment. Now you can see why HVAC dealers LOVE extended warranties. They make money year after year from them. As one Florida AC contractor told an HVAC contractors publication, “Extended warranties add tremendous value to our company.” But what about to the homeowner? If you’d like to read the entire article about the value of extended warranties (or ESAs) to HVAC contractors, here is the link. You will need to open a free account to ACHR News to have full access to the story. They have many loopholes: Extended warranty companies are not charities. They are lucrative businesses. They make money by selling extended warranties and paying out as little as possible in claims. Common reasons to deny claims are that the system was improperly installed or that you, the homeowner, failed to maintain it as promised (or don’t have paperwork showing it was maintained every year). You might prefer new equipment: Replacement equipment is not covered by extended warranties, just repairs. If your AC or furnace breaks in 14 years, you might prefer, and probably should get, a new unit. It will be new, so mechanical failure will be unlikely. It could be more efficient, so energy costs will be lower. It will have a full manufacturer’s warranty. If you spend a bunch of cash on an extended warranty, you’ll lose it if you buy replacement equipment. Those are the pros and cons of extended warranties. And that’s why we think investing your money “for a rainy day,” is a far better choice.